You can always contact me about specific artists or titles OR to make an appointment! VINYL SHOP There are 2 products. JAZZPER'S RECORDS IS LIVING THE GOOD LIFE! WIILLIS JACKSON IS RIGHT! 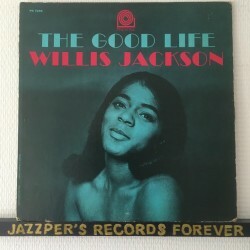 JAZZPER'S RECORDS IS LIVING THE GOOD LIFE! I SINCERELY HOPE THAT YOU DO TOO. IT'S YOUR LIVE, HERE TO ENJOY!! THE RECORDS OFFERED IN THIS SHOP ARE A SELECTION OUT OF HUNDREDS OF ITEMS IN STOCK! 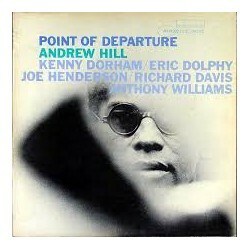 CHECK FOR ALL ITEMS THE FOLLOWING DISCOGS-LINK: https://www.discogs.com/seller/JazzpersRecords/profile OFCOURSE YOU ARE ALWAYS FREE TO HIT ME WITH AN EMAIL ABOUT SPECIFIC ITEMS OR IF YOU HAVE ANY QUESTIONS ABOUT ARTISTS OR TITLES!